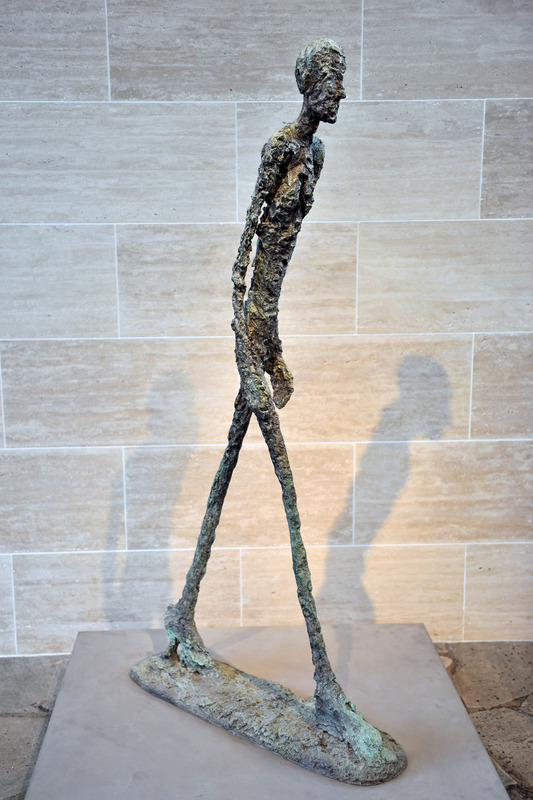 Description: "Walking Man", by Alberto Giacometti (Switzerland, 1901-1966). Work of the artist and surrealist sculptor known for his thin and rigid statues that seem to be in movement. The sculpture stands 1.83 m tall and signifies the will to discover the world.